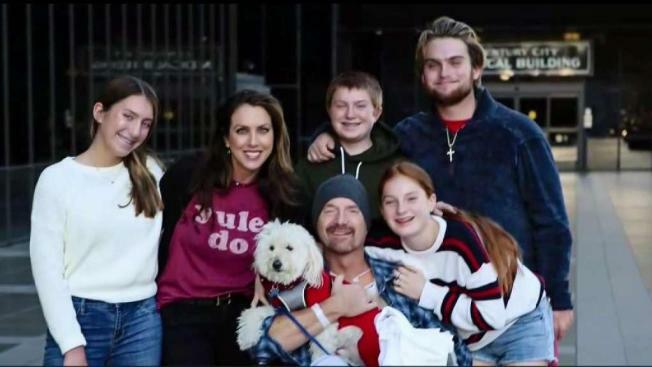 The Coulson family of San Clemente needed a spring break getaway as the patriarch, Michael Coulson, battled Stage 4 brain cancer. Finally feeling well enough to leave the hospital, Coulson and the family decided to get out of town. All they needed was a dog sitter, so they hired a young woman who they said came highly recommended. "The kids met her. She was great with my dog," Lori Coulson said. "So, I hired her for two nights. I won't do that again." The family's spring break trip was cut short when Michael Coulson began feeling ill. When the kids got home, they said they found a surprised dog sitter and a home out of order. "She just was packing her bags, super-fast," daughter Courtney Coulson said. "I knew something was wrong." The Coulsons said several hundred dollars in cash and gift cards were gone, along with drawers being emptied. The Coulsons' neighbors even saw the woman driving the family cars around the neighborhood. "We want to make sure this doesn't happen to other people, as well," Michael Coulson said. What hurts the Coulson’s most, they said, is the woman victimized them, even though she knew about their father's declining health. "I think it's pure evil," Courtney Coulson said. "That's just a terrible to do. I was telling her we've all been struggling with this. "It was our spring break, and we just wanted to get away and have fun as a family." NBC4 attempted to contact the dog sitter, but all the phone numbers provided were either disconnected or no longer work. The Orange County Sheriff's Department confirms it is investigating.